Fifth Harmony have revealed that they will be going on a hiatus to allow the remaining four members to pursue solo careers. In a statement shared via social media, the group wrote, "Reflecting on the past six years since we started on X Factor, we've realized just how far we've come and we appreciate everything so much, more now than ever." The message went on to reveal that the group would be going on hiatus "in order to pursue solo endeavours." 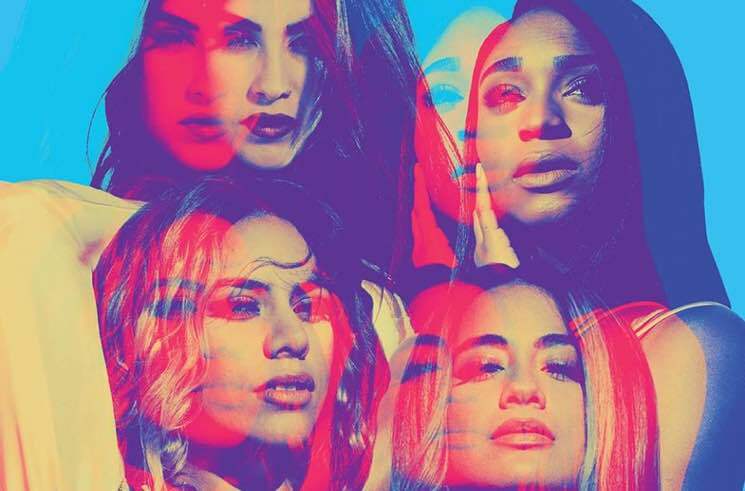 The group added that they hoped to "gain new experiences, strengths and perspectives that we can bring back to our Fifth Harmony family." The girl group formed back in 2012 on the reality competition show X Factor, and have released three studio albums to date, 2015's Reflection, 2016's 7/27 and last year's Fifth Harmony. Founding member Camila Cabello famously left the group in late 2016; she has since found solo success with hit single "Havana" off her debut album Camila. The remaining members have also sowed the seeds of solo careers. Normani Kordei recently released a single with Khalid; Ally Brooke released a single with Topic; Dinah Jane guested on "Boom Boom" with Daddy Yankee, French Montana and RedOne last year; and Lauren Jauregui has collaborated on tracks with Halsey and Steve Aoki. The group's remaining 2018 tour dates are expected to go ahead as scheduled.